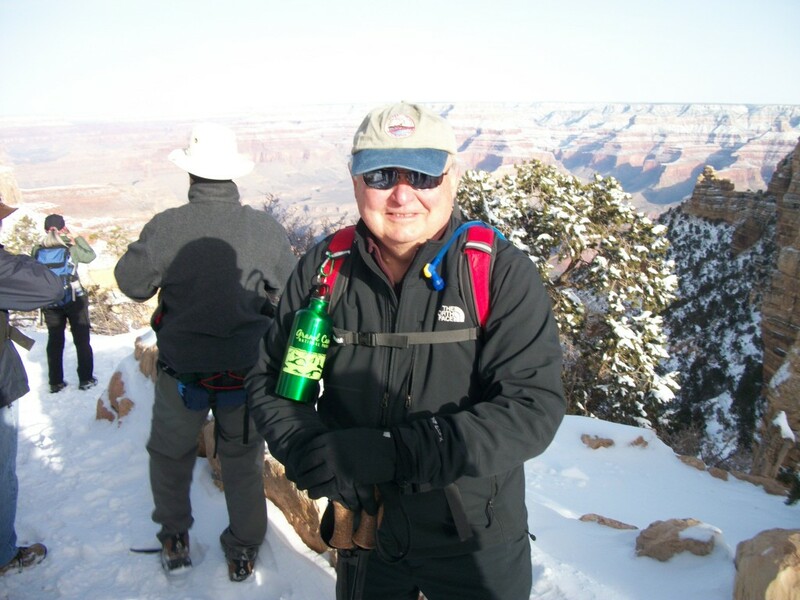 Joe Bullen celebrated leap year, February 29, 2012, by walking down the South Kaibab Trail to have dinner at the Phantom Ranch. 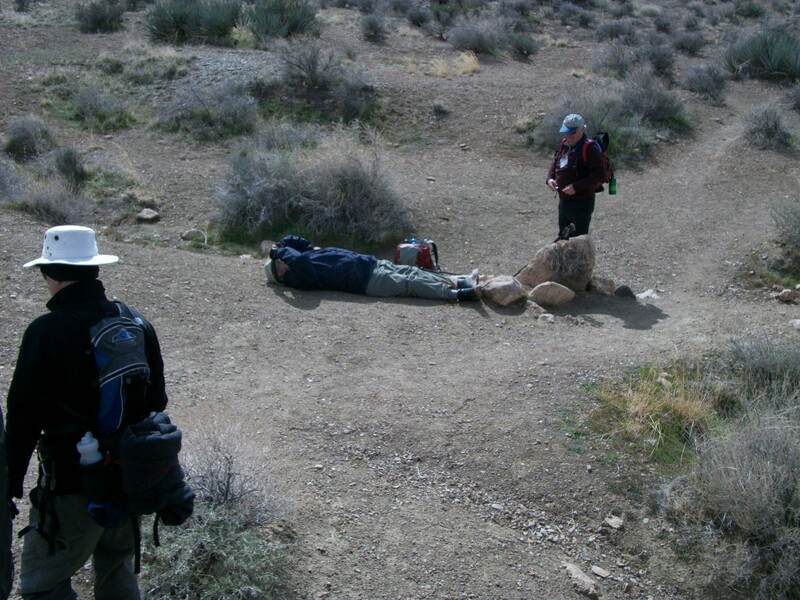 Two days later, he’s at the head of the Bright Angel Trail, March 2, no worse for the wear but “awestruck and humbled by the majesty of the Grand Canyon and Colorado River”. Who can you count on when you are old ? Alice was an only child who had worked many years for a big bank in the city. She never married, and had always lived with her parents. In her sixties when her mother died, Alice had only modest savings of her own. When her father became gravely ill, He asked to see me. His Will was in order, and it left the house and all his savings to Alice. She was within a few years of retirement. With what her parents left her and her own small pension, she could live indefinitely in the family home. He asked me to advise Alice as I had over the years advised him and his late wife. In the years following her parents’ death, Alice would call periodically with a question – occasionally about choices in the pension or other investments; more frequently to change her Will as a new friend came along or another fell out of favor. Every lawyer who does wills and estate planning has a memory of the client or friend who contacted him about a will, power of attorney, or some document he needed prepared or revised. Perhaps he sent or dropped off an old copy; maybe the lawyer sent him a letter or form to return with his personal information. After passage of time the lawyer would send a letter, leave a voice message, or an email reminder. More time would pass. Then the lawyer would see the obituary or get a phone call from a surviving relative. There was no will; or maybe worse, there was an old will which had never been revised. Could You Sell Your Property for What the Tax Assessors Think It’s Worth? That is a serious question. In 1998 the County of Delaware began a reassessment of all the real estate in the entire county. Hearings were held in 1999, and the new tax assessments went into effect with the tax bills from the county, borough, and school district in the year 2000. These assessments were supposed to represent the actual fair market value of each property at the time. Except for the property owners who have appealed their assessments since the year 2000, those original figures remain in effect. Each year the county, school districts, boroughs and townships, adopt their budgets and base their millage or tax rates upon the assessments of all the properties in their jurisdictions. If your neighbor’s borough, or school district, tax bill is lower than yours, it is because his assessment is lower. Too Much Power in the Power of Attorney? Many years ago, a young man brought his father into a law office, to have a power of attorney drawn up. The father, a widower, was going into a hospital for some surgery, and an expected period of convalescence. He had four other children, but the son who was with him at the lawyer’s office seemed to be the one who recognized a need to provide for handling of obligations during the father’s hospitalization and recovery. The lawyer prepared a Power of Attorney, and also a Will, as directed. The Will provided that upon death his estate would be divided equally among his five children. Things did not go well after the surgery, and the hospitalization was longer than expected; so was the nursing home stay. Did you ever hear that from your mother, or someone a generation ahead of you? Have you ever heard a doctor, or hospital social worker, firmly say “She can’t go back home, it just isn’t safe for her to live alone anymore”? What do you do when you hear both these warnings, one after the other? F.D. 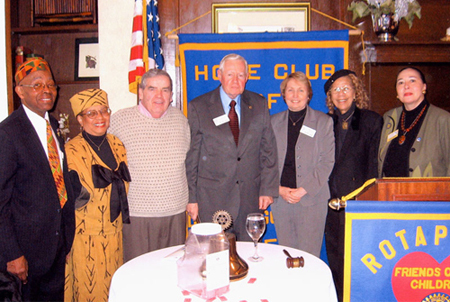 Hennessy of Hennessy and Bullen joins fellow members at a recent gathering of Darby-Lansdowne members of Rotary Club of Upper Darby-Lansdowne. Left-to-right: Robert Tyler, realtor/appraiser, past president, and Mrs. Tyler; Leo Hoerdemann, contractor, past president; F.D. Hennessy Jr., lawyer, past president; Sandra Howze, founding director, Stratford Friends School, past board; Dr. jean Moore, Temple University Associate Professor Emerita, radio show host/executive producer, and past board; Dr. Eleanor Sylver, William Penn School District curriculum director, past president, Rotary District Governor’s representative.